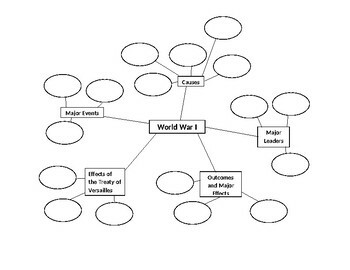 This WWI graphic organizer will help students organize important facts about WWI. It includes major events, outcomes, effects of the Treaty of Versailles, major leaders, and causes. VA SOL WHII.10a,b.